Kevin Proulx. 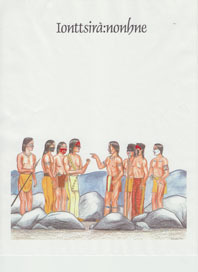 Available in Kanien’kéha/English/French. 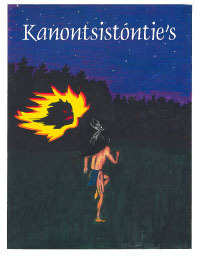 The 400 page illustrated volume is the first book about the oral and written history of Kanehsatà:ke written by two of our own: Arlette Kawanatatie Van Den Hende, and Brenda Katlatont Gabriel Doxtator. 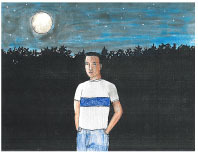 Included, are photos and original illustrations by Katsi’tsakwas Ellen Gabriel. 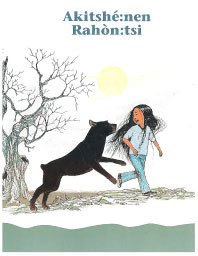 This book uses historical studies and traditional teachings to tell the story of the people of Kanehsatà:ke. It’s a must read! It’s not unusual for children of all ages to disobey their parents. What is unusual though is what may happen to the young boy in this story, if he doesn’t listen to his mother. 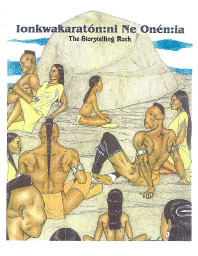 Adapted by Tewateronhiákhwa Mina Beauvais, illustrated by Kahentine Kim Gabriel. 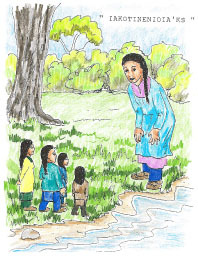 A young girl befriends a family of Little People and the value of respect, honesty and generosity. 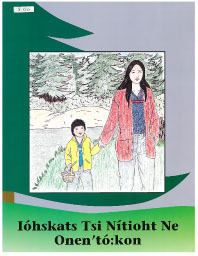 Adapted by Karonhianó:ron Alice McDonald and Kawinónhsen Audrey Nelson, illustrated by Katlatont Brenda Gabriel-Doxtator. Available in Kanien’kéha or Kanien’kéha/English/French. An original story. A young mother shows her son how to appreciate the natural beauty that’s around him. 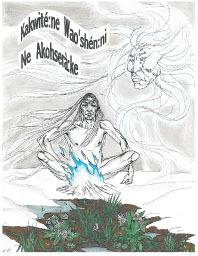 From a collaboration between Tsi Ronterihwanónhnha and Kanien’kéha Owén:na Otióhkwa. Written by Kasennenhá:wi Marie David. 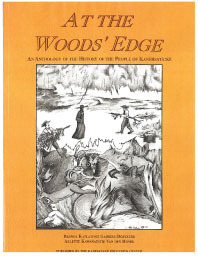 Translation by Kahentinéhtha Beverly Beauvais, illustrated by Wahiarónkwas David. The tale of why being greedy is not a virtue and why the fire was taken away from the quarreling people. Adapted by Skawén:nati Madeleine Montour, illustrated by Kahentíne Kim Gabriel. Available iin Kanien’kéha. When old man Winter overstays his welcome and wants to freeze everything in his path, young man Spring must defeat him and send him on his way. 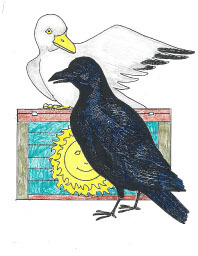 Adapted by Skawénnati Madelaine Montour, illustrated by Shahoié:ren Kevin Proulx. Available in Kanien’kéha or Kanien’kéha/English or French. $19.00 Kanien’kéha, $20.00 Kanien’kéha/English or French.